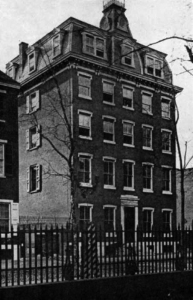 At its start in 1864, the Philadelphia Seminary held classes at the Lutheran bookstore in center city and in homes of the professors, who lived in different areas of the city. Theodore Tappert, in his History of the Lutheran Theological Seminary at Philadelphia 1864-1964, wrote about the school’s immediate need for sustainable funding, but also about its lack of a home. The following is from Tappert’s History. The first floor of the new building included three lecture rooms, a chapel, and a dining room. In addition to a library, reading room, and parlor, the second floor contained six “chambers.” The remaining three floors were given to larger numbers of similar dormitory rooms. The cost of construction was $17,500, and the heating arrangement and kitchen ranges (in the basement) cost about $1,000 more. Some of the furniture was provided by the ladies of congregations in Philadelphia, Lancaster, Reading, Easton, Allentown, and New York, and Sunday schools were asked to furnish more. Since the condition of the rooms had formerly been described as “filthy and the furniture and carpets in bad order,” consideration was now given to “the propriety and expediency of appointing a committee of ladies” from local congregations to oversee the domestic management of the seminary. For many years such committees made periodical inspections and contributed to the physical comfort, although also to the embarrassment, of students. When the building was in readiness it was thrown open to the general public “with appropriate exercises” on Feb. 10, 1873. Upwards of 3,000 persons inspected the building between 10 am and 9 pm, it was reported, and at least 1,200 “partook of collation,” which consisted of “a remarkable variety of substantial food and of rare dainties” prepared by women of local congregations. The cost of purchasing the original seminary property, of constructing the enlarged building, and of maintaining it year after year was borne by the Ministerium of Pennsylvania alone. During the first few years agents were appointed to visit ministers and congregations of the synod and to collect contributions on commission. 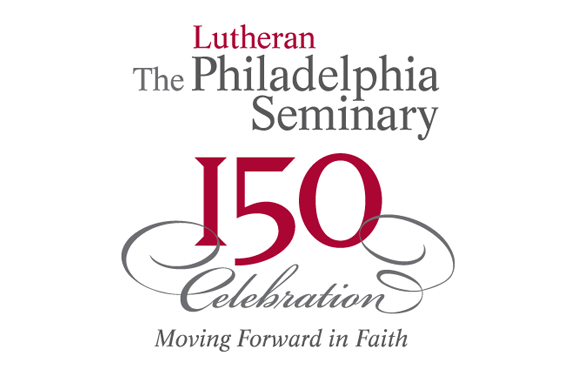 In 1867 an “extraordinary and united effort” was made during the Reformation season to commemorate the 350th anniversary of Luther’s posting of the Ninety-five Theses, and a total of more than $22,000 was raised for the seminary. To construct the new building in 1872 and 1873 money was borrowed from endowments, and a new appeal was made to repay this; on the floor of the synodical convention in 1874 a total of $8,684 was subscribed, and more was added afterwards. The financial burden resting on the Ministerium of Pennsylvania was increased by the failure of the Ministerium of New York to gather the promised $2,000 a year for its professorship; on the average it paid less than a third of this amount, and so the salary had to be supplemented in Pennsylvania. There was even reluctance to contribute toward the cost, for its own students, of heat, light, and service, although the value the seminary was evident in the flow of graduates into parishes in New York and northern New Jersey.However, the Ministerium of New York as well as the Ministerium of Pennsylvania gave subsidies to students for the ministry, and this was of indirect assistance to the seminary. Of similar character was the supplementary aid for students provided from time to time by congregations. The seminary was also the recipient of a few bequests; the largest in this period amounted to $3,000 and was received from the estate of Mr. Christian Klinger, of New York City, in 1880. The enlarged seminary building failed to meet all expectations. The heating system proved inadequate. “Some of the rooms,” it was reported, “could not be heated at all; others were greatly influenced by a change of the weather; only a few of the rooms could be made comfortable.” In severe weather as much as a ton of coal was consumed daily, but heat did not reach the top floor. A new heating system was installed but hardly improved conditions. In 1882 additional chimneys were built and individual stoves were placed in every room. This was a more satisfactory arrangement, but it was believed that “affections of the throat, serious colds, attacks of fever and dyspepsy” from which students suffered were a result of the poor heating in winter. Students complained about things other than want of heat. When the seminary acquired its original building in 1865, G. L. Helmbold was employed as a steward, and quarters were provided in the building for him and his family. All students were required to board in the seminary unless they had special permission to eat elsewhere. Helmbold offered to feed students “for $4.50 a week, including washing and mending of an ordinary character.” A committee of students appeared before the faculty in the spring of 1866 “and entered formal and earnest complaint against the steward and the manner in which he manages the affairs of the seminary.” The principal complaint had to do with the quality of the food. It was proposed by the students that the steward be dismissed and that a “club system” be introduced. Neither the faculty nor the board of directors was willing “to entrust the domestic affairs of the institution” to the students under a club system, but a committee of the board promised to “labor to make their home comfortable and pleasant and have them furnished with good bread and warm rooms.” Friction between students and steward continued. Helmbold finally resigned in 1868 and was replaced by Aaron Windt, who was employed “to attend the fires and be allowed to charge $3.25 per week for board and the current rates for washing.” The new steward encountered continuing criticism at the hands of the stUdents, about half of whom found excuses to eat in neighboring restaurants or boarding houses. When Windt died “after lingering consumption” in 1876, his widow took his place for a year and was soon succeeded by a Mrs. Plowman. More and more students preferred to eat elsewhere on the ground that they could get cheaper and more wholesome food at other places nearby. In 1880 the boarding system was therefore abolished, the dining hall was closed, the stewardess was given notice, and a janitor was hired. Students complained about the janitor too – for example, “the conditions of the bathrooms” – but henceforth they had to grumble about food elsewhere. The constitution adopted for the seminary in 1865 provided that graduation from a college would be required of candidates for admission, “and any departure from this rule shall only be made by a unanimous vote of the faculty.” During the first quarter of a century about 5% of the students were admitted without college education, a ratio higher than in any comparable period since then. About 70% of those admitted completed their course. For want of detailed records it is not possible to determine the precise reasons for the withdrawal of so many students, but it appears that relatively few were dismissed for academic deficiencies. The enrollment increased to an average of about 40 at the end of the first decade and an average of about 65 toward the end of the first quarter of a century. In 1873, after the construction of the new building, the enrollment was uncommonly high. The attendance, it was reported, “has been the largest (so far as known) yet connected at anyone time with this or any other Lutheran theological seminary in this country.” In the early years a fair number of students transferred from Gettysburg Seminary, and to a lesser extent from Hartwick Seminary, but this soon became exceptional. As would be expected, a majority of the students came from Pennsylvania, New York, and New Jersey. Church-related colleges, in which pre-theological students received financial aid, were the principal sources of students. Gettysburg College furnished 19 of the students who were graduated from the seminary during the first quarter of a century. The former Allentown Collegiate Institute became Muhlenberg College in 1867, when it began to be related to the Ministerium of Pennsylvania, and was represented by 116 students in the seminary’s graduating classes during the same period. Thiel College was founded in 1866 as a school of the Pittsburgh Synod, and 37 of its students were among the graduates of the seminary up to 1889. The New York Ministerium sponsored St. Matthew’s Academy in New York City, from which several students came, and after the founding of Wagner College in 1883 a half-dozen of its alumni were graduated from the seminary before the close of the first quarter-century. Hartwick sent the same number from central New York. Other schools on the territory of the supporting synods were also represented. The University of Pennsylvania supplied 14 of the graduates, Lafayette College counted 4, Ursinus College and Franklin and Marshall each furnished 3, and many other colleges were represented. A year after the close of the Civil War the president of Roanoke College inquired whether southern students would be welcome in Philadelphia. “There is every disposition on the part of the faculty,” he was told, “to give them a friendly reception, provided they come with a firm and sincere determination to avoid everything that would disturb the peace, harmony, and prosperity of the institution.” Roanoke College, in Virginia, had 11 students in the seminary’s graduating classes before 1889, and almost as many others came from Newberry College in South Carolina, Catawba College in North Carolina, North Carolina College, and the University of Virginia. Canada was represented by two students from McGill University. Among schools in the Middle West, Capital University had 7 alumni in the seminary’s graduating classes, Augustana College had 6, and there were others from Northwestern University, Luther College, Wittenberg, and Concordia in Fort Wayne, Ind. As many as 21 graduates received their academic preparation in Europe, most of them in Germany. Notable, too, were the students of Swedish, Norwegian, and Icelandic background. C. M. Esbjorn, son of the Swedish-American pioneer Lars P. Esbjorn, was a student in the Philadelphia Seminary, and so was Conrad E. Lindberg, who later became professor of Systematic Theology in Augustana Theological Seminary. Without attempting an exhaustive list, it may be appropriate here to mention some other graduates whose names are especially remembered for one reason or another. Charles S. Albert was for many years book editor of the Lutheran Publication Society, George H. Trabert was a pioneer missionary and historian of English Lutheranism in the old Northwest, Revere F. Weidner was the first president of Chicago Lutheran Seminary. Jeremiah F. Ohl was a leader in the Inner Mission movement in America, George H. Gerberding was professor of Practical Theology in Northwestern Theological Seminary, John Nicum and William J. Finck were parish ministers who were productive historians in addition, John Heischmann was recognized as one of the most eloquent preachers of his time, George Washington Sandt was editor of The Lutheran for a generation, Andrew George Voigt was dean and professor of Systematic Theology in the Lutheran Southern Seminary, John A. W. Haas was president of Muhlenberg College, Joseph Stump was professor of Systematic Theology in Northwestern Theological Seminary, Henry W. Elson was a popular writer and teacher of history, C. Armand Miller was a faithful pastor and author of devotional literature. Attempts were made to enforce a strict regulation of the lives of all students while they were in the seminary. Rules governing conduct were printed and posted in all rooms, and some of them required a degree of conformity which would have excited rebellion in later times. At first the steward was asked to see to the enforcement of the regulations, but when this quite naturally led to additional friction between the steward and the students, certain members of the Senior class were made overseers. Ultimately, however, the faculty became involved when there were breaches of discipline. One of the rules that was found most burdensome required all students to be in their rooms by 11 pm, and the outer doors of the seminary building were locked at this time. Strictly forbidden was “all attendance at public places of sinful amusement or of dubious character, such as theaters, the circus, etc.” What was not covered in this prohibition could conceivably be included in the more general regulation which made students “accountable for any conduct which may reflect discredit upon themselves or the institution itself.” It appears that the members of the faculty were not of one mind about the need for such rigid rules, and among themselves, at least, they conceded that the rules simply accorded with “the sentiments prevailing in the community,” that is, with the current mores of American Protestantism. The location of the seminary in the center of the city was of course an invitation to students to inspect nearby “public places of sinful amusement or of dubious character.” Two students were admonished on one occasion for returning to the seminary ten minutes late. On another occasion a student was reported to have been “out of the building to a very late hour of the night, even until 1 o ‘clock, during the last two weeks.” On still another occasion the minutes of the faculty read: “The faculty have heard, not without solicitude, of the frequent absence from the building after 11 pm.” Fifteen to twenty students were reprimanded for going to a theater one evening “to witness the play of Hamlet and the acting of Edwin Booth.” As a rule not so many were involved at one time. There is no wonder, at all events, that one student began to have scruples about reading the dramas of Schiller and Shakespeare, although they were recommended by one of his instructors. There was censure, too, for “visiting lager beer saloons. Some students, it was reported, occasionally went “to taverns to take a glass of beer.” “In doing this they thought that they made a legitimate use of Christian freedom, whilst they could not deny that they acted against the rules of the seminary.” A gentle reprimand was the customary penalty. It must be observed that there was some relation between these regulations and the deteriorating neighborhood in which the seminary was located. A student later recalled ”the midnight glitter along Eighth, Ninth, Race, and Vine Streets,” “the alluring haunts of the kings and queens of the demimonde,” and the unemployed “men of leisure who take their perennial vacation in Franklin Square,” opposite the seminary. It seemed desirable both to the faculty and to the board of directors to have an older person live in the seminary building to watch over and counsel students. For this purpose the venerable C. F. Heyer, who had behind him a long and distinguished career as frontier preacher and missionary in India, was appointed “housefather” in January, 1872. In this position Father Heyer (the designation “father” was then common for older ministers) died less than two years later. According to Professor Mann, “he proved in various ways a real and great blessing to the seminary, enjoyed universal respect and love, and left a most enviable remembrance.” When, in 1880, the students organized a missionary society ”to awaken and promote a missionary spirit in the minds and hearts of the young candidates for future pastoral duties,” they named it the Father Heyer Missionary Society. In 1874 Professor Mann was requested to assume the duties of chaplain or housefather since he lived “only a few steps from the seminary.” He was strict but kind and understanding in his relations with students. This Google map indicates the approximate location of the seminary’s first building. The building itself would have been on the left side of Franklin Street in this view. Franklin Square, maintained as one of the city’s public squares to this day, is on the right. The community has changed greatly over the years, first with the construction of the Benjamin Franklin Bridge, and later by the Vine Street Expressway. Several historic Lutheran churches were lost to progress due to these changes. This short stretch of Franklin Street is all that remains as Franklin Street, with the rest north and south now known as Seventh Street. Chinatown, Independence Mall, and the National Constitution Center are within blocks of the location.